I write to provide an update on MIT's financial condition. After 18 months of extraordinary upheavals in the global economy, I'm often asked, "How is MIT doing financially?" While normally we report on Institute finances only at the end of the fiscal year, in these unusual times I want to update you a few months in advance. This letter also expresses my gratitude, because the comparative stability of our current finances stems directly from the concerted attention and actions of many members of the MIT community and from the great generosity of our alumni and friends. We all recognize the difficult and sometimes painful decisions required by the budget cuts taken for this and next year, but I hope that this interim report provides reassurance about the path forward. Of course, no one can accurately predict future economic directions, so we continue to prepare for a range of scenarios, from another downturn, to slow growth, to a more robust recovery. I am pleased to report, however, that many indicators we follow closely show MIT on a stable path, well buffered against further economic turbulence and, at the same time, well prepared to seize emerging opportunities. As I noted in previous letters, because the MIT community rose to the challenge of reducing expenditures for the current fiscal year and the next, we will have brought MIT's budget back into balance. Led by the efforts of the nearly 200-member Institute-wide Planning Task Force, inspired by suggestions from the Idea Bank, and guided by the prudence and thoughtfulness of budget administrators across the Institute, we have turned this difficult period into an opportunity to improve our operations, to amplify the sources of our greatest strength and to design ways to use our resources more effectively. With this secure foundation, I can also report reassuring results from three key sources of income: research funding, philanthropic giving and endowment returns. MIT's success in attracting research funding provides an important measure of the quality, ambition and accomplishment of our faculty, staff and students. This year, MIT's research funding increased markedly, both from standard sources and through funds from the American Recovery and Reinvestment Act of 2009 (ARRA, the "Stimulus Bill"). 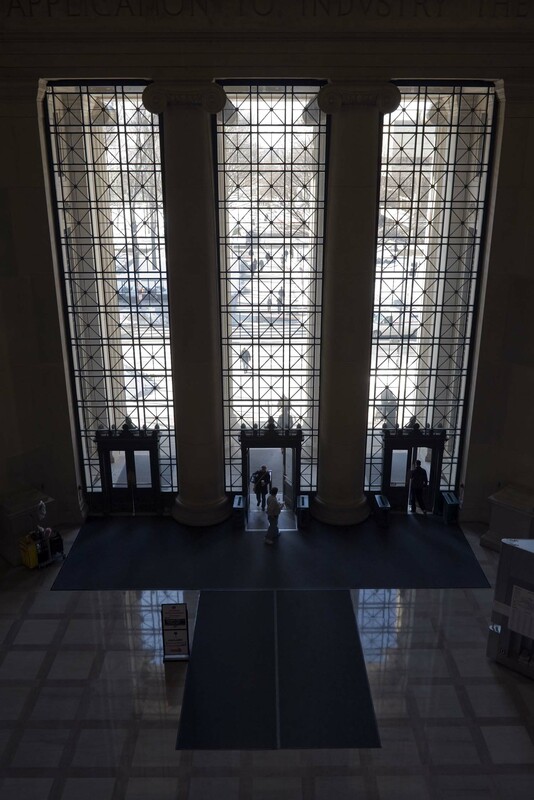 Excluding ARRA projects, MIT's on-campus research funding rose 10.5% compared to this time last year, to $436 million; including ARRA projects, MIT's on-campus research funding rose 14%, to $451 million. Lincoln Laboratory's funding has also increased, bringing total MIT research funding to $986 million excluding ARRA funds and $1 billion including them. In such difficult times, this very healthy growth in research funding reflects MIT's consistently extraordinary research activities. Philanthropic giving often falters in the face of economic turmoil. However, our donors have steadfastly continued their remarkable generosity. Our cash gifts at the end of March reached an historic high for this point in the fiscal year, and, while pledges for future gifts started very slowly this year, we now lag last year's pace by only a few percentage points. In my visits to several MIT Alumni Clubs, I have heard directly from our graduates that even (and perhaps especially) in this uncertain time, they enthusiastically support MIT's mission of discovery, innovation, education and service. Reflecting their enthusiasm, the Campaign for Students has reached $450 million of our $500 million goal, which sets us on track to meet or exceed the goal in time for the launch of the 150th anniversary celebration in January 2011. These gifts will offset some of the difficult reductions we have been forced to make. For example, for several programs new gifts for graduate fellowships will help compensate for reduced funds flowing from the endowment. Although it is impossible to forecast precisely the end-of-year (June 30) endowment returns, I can report that MIT's endowment performance has improved from last year's. Last year, MIT experienced less severe investment losses than many of our peers, and the investment choices that moderated last year's losses will likely moderate this year's gains. As of the end of March, we estimate MIT's endowment performance in the high single digits. Our budget plans for the next several years anticipate slow, steady financial improvement, and the current endowment performance aligns well with those plans. While the modest gains that we expect will not relieve the need to take the reductions now under way for this year and next, if the steady performance I have described here continues through to year's end, we will not require cuts beyond those we have budgeted. Going forward – and remembering how dire the global economic situation appeared just a year ago – our anticipated returns should offer a hard-earned sense of relief. To every member of the MIT community whose sustained effort, thoughtful input and patient forbearance have earned us the stability to move forward with confidence, I thank you.